When the dragons of the Age of Ancients were defeated, the winners of the war, calling themselves gods, founded and constructed a prosperous land: Lordran. Anor Londo, as Lordran's capital city, became legendary with the passage of time; an unreachable city of the gods. It was built by Lord Gwyn at the dawn of the Age of Fire, and served as his throne, surrounded by other gods, his brave knights, and his army of Silver Knights. In the Age of Fire, when the First Flame started to exhibit signs that it was fading, and after unsuccessful attempts to prevent this, Lord Gwyn descended to the Kiln with the already charred Black Knights in a dramatic last attempt. He sacrificed himself, offering his own soul in order to extend the Age of Fire, and he succeeded, thus prolonging the Flame. Sadly, for the gods, this selfless sacrifice originated other problems: the Undead Curse was created when Gwyn linked the fire, breaking the natural course of the world and soon, most of Anor Londo's inhabitants abandoned the city and Lordran. Heroes and pilgrims from many eras have tried to reach the city. To reach Anor Londo, they must surpass Sen's Fortress and defeat the gatekeeper, the Iron Golem. Countless have perished in their attempts, but many have also been successful and have reached the city of the gods, such as: the Darkmoon Knightess, Black Iron Tarkus and Solaire of Astora. It's also important to note that prevalining in the Battle of Stoicism grants access to Anor Londo. The Chosen Undead is tasked by the primordial serpent Kingseeker Frampt to retrieve the Lordvessel from Gwynevere, Princess of Sunlight. In the now-deserted Anor Londo, only one god remains in the city: Dark Sun Gwyndolin, last-born of Gwyn. In order to deceive the Chosen Undead, he creates an illusion of his sister and the sun, making Anor Londo appear bathed in sunlight and glory, as it once may have been. But should this veil of deception be liften, one shall learn the truth, that Anor Londo is wrapped in darkness. The real Gwynevere has long since left the city with her future husband, Flann, God of Flame. The Darkmoon Blades now seek vengeance for crimes against the gods and operate under Gwyndolin's command. Also, as her name suggests, Darkmoon Knightess, the Firekeeper of Anor Londo, is a member of this covenant. Under Anor Londo's cathedral, only accessible by using a mechanical turning staircase, is a circle of statues made in rememberance of Gwyn and the knights who descended with him to the Kiln. Behind his statue, there is a secret, honorary tomb made for him, from where Dark Sun Gwyndolin governs the Blades of the Darkmoon Blades. The grand cathedral of the city was originally Gwyn's castle, and is still guarded by Silver knights, Bat Wing Demons and giant Sentinels. In the cathedral itself, Dragonslayer Ornstein and Executioner Smough form the last line of defense before the illusion of Princess Gwynevere. The Giant Blacksmith, a friend of Hawkeye Gough, resides in the left wing of the cathedral. Aside from the grand cathedral is a smaller, but still ornate building that hosts a statue of Gwynevere and an incredibly large painting made by Ariamis, protected by the Painting Guardians. This painting - only if a particular object is used on it - grants passage to the Painted World of Ariamis. Following the patch on the hill beside the city leads to the Duke's Archives, domain of Seath the Scaleless. Miyazaki: in Dark Souls there were three main sections or themes: the image of Gods and knights centered around Anor Londo was one of these. Otsuka: So for example, Anor Londo wasn't created by a single artist? Waragai: Yes, I was, but before we started developing the look of the area, we first decided on the general layout and then we worked together with the 3D artist. I set out designing the main features such as the statues and the revolving elevator. Miyazaki: This is actually how most of the areas were constructed. The map design was really what dictated everything else, once we determined what needed to happen in each area we would immediately draw up a rough map, then once the basic layout of the area was decided, we'd work on the finer details. Through the rough map I was able to communicate the requirements, structure and appearance of an area to the artists, and have them develop those ideas through collaborating with one another. I'm never satisfied with design works that simply follows the design brief so I often requested that the artists and designers add some of their own ideas. I believe that these ideas can enrich the area, if not the entire game, although this can lead to more work of course. Otsuka: So you had a team of one artist/designer and one 3D artist working on each area, and then it fell to you to make the final decisions? Miyazaki: Yes, but each of the areas had its own feel or tone as far as art direction was concerned. For an area like Blight Town for example, we found that once we decided on the general direction and gathered appropriate reference materials, there wasn't really a need to spend too much time developing the look of the area, it just came together. However in areas which were composed of more traditional architecture, we had to spend a lot of time working on the finer details. There weren't a huge amount of artists on the team so it was a case of moving people to where they would be of most use. 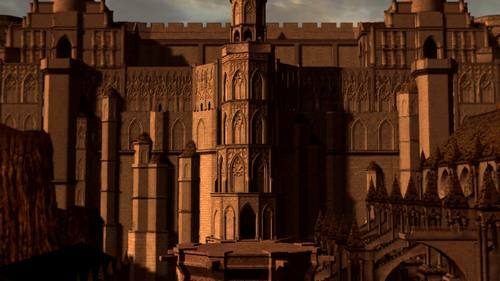 Anor Londo for instance is one of the most complicated areas in the game in terms of architecture, and as the mid-way point of the game it's also a very important area, so we spent a great deal of time working on it. After ringing the bells and overcoming the traps of Sen's Fortress I really wanted to player to feel "Yes! I've made it!" walk in places that you wouldn't normally walk, such as the buttresses. Then there was also the image of the setting sun, and the way the area changes once night falls. I really like the way your eye is drawn to the different features like the revolving staircase elevator. Miyazaki: Nakamura comes up with some strange things, doesn't he? I mean that in the best possible way, of course! I think this worked out really well, there are several spirals in the area and I'm glad that we were able to incorporate that idea. 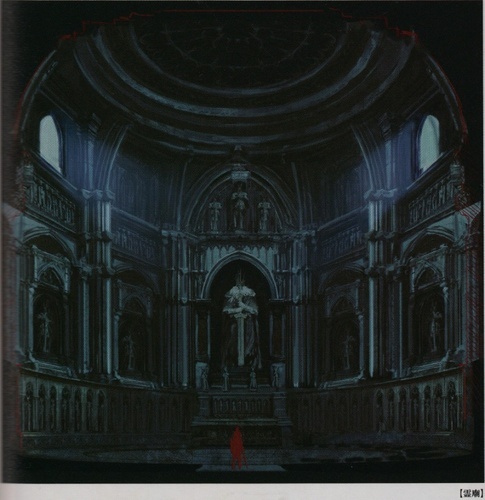 Otsuka: Did you use anything for reference when designing Anor Londo? 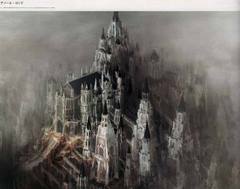 Miyazaki: There was one more thing I wanted to achieve with Anor Londo; the last game I directed, Demon's Souls, was based in the early middle ages so it was extremely difficult to gather reference materials for the area designs. Dark Souls is based in a later time period so with Anor Londo, I saw a chance to create an area that felt more cohesive and full of the kind of detail that we couldn't achieve in Demon's Souls. The most accepted theory is that, as "anor" means "sun" in Elvish (language created by J. R. R. Tolkien), and "londo", shared with New Londo, could mean "city", thus Anor Londo's meaning may well be City of (the) Sun. New Londo, in this sense would mean "New City". Others theorise that "anor" means "Lord, Lord's" or "God, God's", which makes sense lore-wise, since Anor Londo is called City of the Gods and the gods are also called Lords. 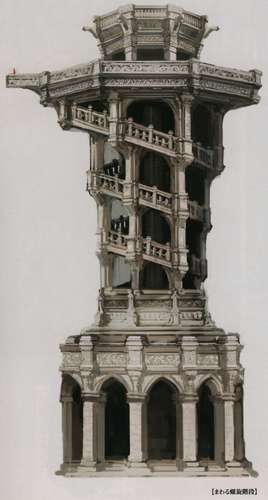 Anor Londo's design is based on buildings from the Renaissance Era. 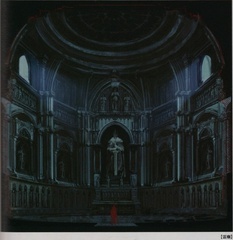 The outside is based primarily on Basilica Cattedrale Metropolitana di Santa Maria Nascente in Milan while the interior is based on the inside of French castleChâteau de Chambord. Well, you are a rare visitor. Welcome to the lost city of Anor Londo, chosen Undead. If you seek Lord Gwyn's old keep, exit here and head straight yonder. I am the Keeper of the bonfire. If not for me, what beacon would there be in this lost city? A gatekeeper, and a guide; that is my calling. Of the Silver Knights who protect Anor Londo. When Lord Gwyn departed to link the Fire, his knights split into two groups. The Silver Knights remained in the forsaken capital in the service of their goddess. Lord Gwyn granted this soul to his four most trusted knights. Soul of Smough the Executioner, who guards the cathedral in the forsaken city of Anor Londo. Great hammer from the soul of executioner Smough, who guards the cathedral in the forsaken city of Anor Londo. Equipment of Smough, the Executioner, protector of the cathedral at the forsaken city of Anor Londo. The Princess of Sunlight Gwynevere left Anor Londo along many other deities, and later became wife to Flame God Flann. Soul of Darkmoon Gwyndolin, god of the Dark Sun and guardian of deserted Anor Londo. This ring is granted to adherents of Gwyndolin, Darkmoon deity and last born of Gwyn, Lord of Sunlight. The Dark Sun Gwyndolin is the only remaining deity in Anor Londo. His followers are few, but their tasks are of vital importance. Gwyndolin, all too aware of his repulsive, frail appearance, created the illusion of a sister Gwynevere, who helps him guard over Anor Londo. An unmasking of these deities would be tantamount to blasphemy. Victory in this battle once led to ancient Anor Londo, but even in the absence of it's overseer, capitulation is a disgrace. In the name of a warrior's honor, do not quickly resort to the use of this crystal.